A brush-on gel that grooms and defines brows into shape while naturally shading them to create subtle or dramatic looks. The non-greasy formula softly sets hairs, providing a healthy-looking sheen in six new hues to match any hair colour - from deep ebony to shimmering soft gold-brown. Small Christmas tree-like brush applies the gel with total precision. Explore the entire range of Eye Brow Enhancers available on Nykaa. 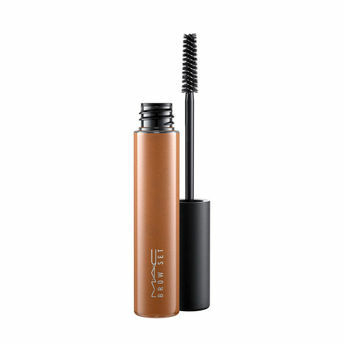 Shop more M.A.C products here.You can browse through the complete world of M.A.C Eye Brow Enhancers .Alternatively, you can also find many more products from the M.A.C Pro Longwear Waterproof Brow Set range.